I wanted to share an online store I found over a year ago and was amazingly surprised at the variety of products they have catering to all sizes of children clothing. Being that I had a preemie, I understand how difficult it is to find clothing that fits let alone adorable clothing! I'm also able to find clothing that fit both my girls in one shop with reasonable prices. The online store is Adorable Baby Clothing and even though the name states "baby," they carry such a variety of clothing to fit any child up to size 12. Not only do they have everyday outfits, school uniforms, unique pajamas, dress up and accessories, but they have clothes for special occasions, baptisms or christenings. One of my other favorites are the products that are carried for personalization. If you are one of those mom's like me, you like to stand out and provide a gift that is unique and thoughtful and that is exactly what a personalized product does. I usually spend months planning a gift that shows how much they mean to me. Given Halloween is quickly approaching, judging by the early display at the stores already, Adorable Baby Clothing has a variety of costumes and accessories. 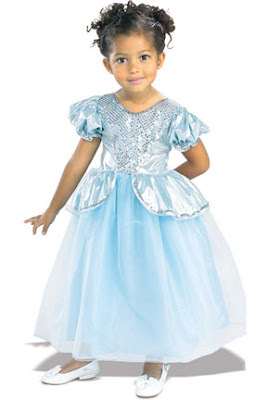 Last year, my two daughters were the bells of the "ball" with their matching Cinderella costumes that I bought at Adorable Baby Clothing. The customer service is exceptional! If you are looking for something different, unique and wonderful or just everyday clothing, visit Adorable Baby Clothing! *Note: I was not paid nor compensated for this review. I just love this store!